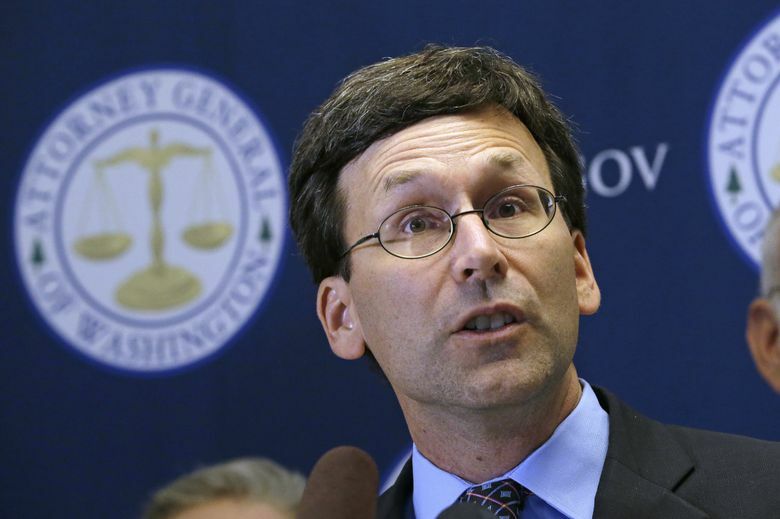 Washington state Attorney General Bob Ferguson is playing both good-cop and bad-cop against President Donald Trump’s recent executive order to potentially roll back national-monument designations. OLYMPIA — In hopes of protecting Washington’s national monuments, Attorney General Bob Ferguson invited President Donald Trump and U.S. Interior Secretary Ryan Zinke to visit the state. But if the federal government attempts to roll back those federally protected lands, Ferguson said, he’ll sue the administration once again. Ferguson, who has already sued over the president’s travel ban, is playing both good-cop and bad-cop against Trump’s recent action reviewing national-monument designations. Trump in late April signed an executive order directing a review of lands recently designated under the U.S. Antiquities Act. In a letter Thursday to Zinke, Ferguson argued that the Antiquities Act is “the cornerstone of American conservation” and that Trump and Zinke don’t have the legal authority to roll back a national-monument designation. “Let me be clear: If the President seeks to do harm to Washington’s National Monuments by eliminating or reducing them, my office will initiate litigation to defend them,” Ferguson wrote. Hanford Reach National Monument — 304 square miles of rough landscape and rare flowers around the skeletons of World War II-era plutonium reactors — is explicitly targeted in the review. San Juan Islands National Monument, which includes about 1,000 acres over the archipelago’s 450-some islands, could also possibly be reviewed, according to the letter. In any event, Ferguson invited the two to come see Hanford Reach and San Juan Islands for themselves. The Department of the Interior didn’t immediately respond to an email seeking comment.